Hong Kong Special Administrative Region Government held the Forum explore co-operation opportunities in innovation and technology. The Forum was attended by over 100 academicians of the Chinese Academy of Sciences (CAS) and the Chinese Academy of Engineering (CAE), as well as representatives of the HKSAR Government and the technology sector. The Forum discussed new opportunities brought about by opening up science and technology funding by the Chinese Ministry of Science and Technology (MOST) and the Ministry of Finance for application by Hong Kong higher education institutions and research institutions. 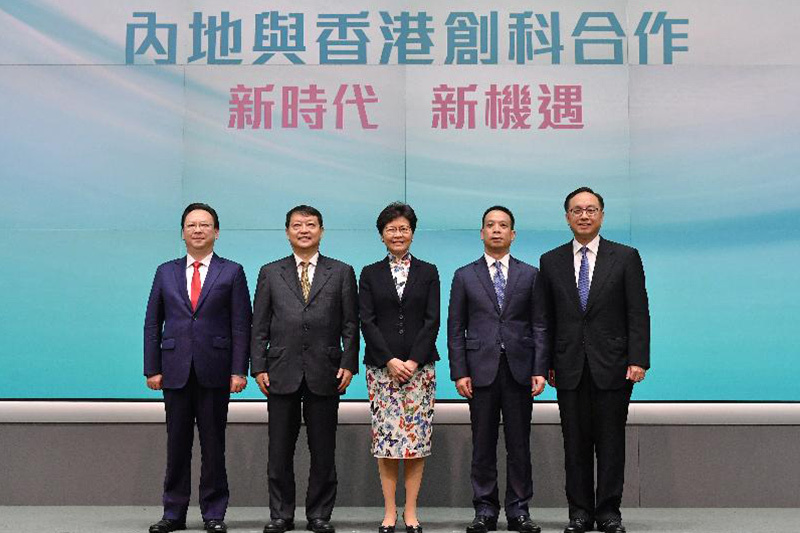 In her address, Chief Executive of Hong Kong Mrs Carrie Lam highlighted that the forum was meant to brief research experts at the earliest opportunity on the newly announced guidelines of the Central Government in support of the development of innovation and technology in Hong Kong and Macao. Also present at the forum were the Secretary for Innovation and Technology, Mr Nicholas W Yang; the Permanent Secretary for Innovation and Technology, Mr Cheuk Wing-hing; and the Commissioner for Innovation and Technology, Ms Annie Choi. Vice Minister of Science and Technology, Professor Huang Wei, announced details of the new policy at the forum. Deputy Director of the Hong Kong and Macao Affairs Office of the State Council Mr Huang Liuquan and Deputy Director of the Liaison Office of the Central People’s Government in the HKSAR Mr Tan Tieniu also addressed the forum. “Local research will be funded by the science and technology funding of the Central Government. This will foster technological co-operation between Hong Kong and the Mainland and give full play to the unique advantages in technology of the two places, laying a solid foundation for the Hong Kong-Shenzhen Innovation and Technology Park in the Lok Ma Chau Loop. The policy also paves the way for building the Guangdong-Hong Kong-Macao Bay Area into an international innovation and technology hub and provides incessant impetus for the current-term Government in spurring innovation and technology development,” said Mrs Lam. At the forum, President of the Hong Kong Polytechnic University Professor Timothy Tong moderated a panel discussion to discuss on the new policy.